RAS Geometry Maker is designed to create a fully georeferenced geometry file that can be directly imported into HEC-RAS, starting from a text file where cross sections are defined and geometry files that can be implemented in any CAD/GIS environment. XS Interpolator is software that allows for the generation of interpolated river cross sections, usually required to supplement surveyed cross sections data while performing any river analysis, or for the creation of a riverbed DEM, needed for the implementation of 2D hydrodynamic models. 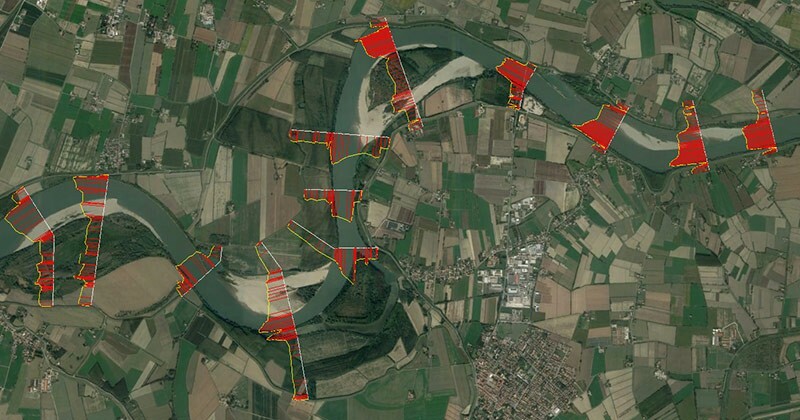 XS Plan viewer is designed to support topographic data processing integrating survey data with other available topographic and morphological information in a CAD or GIS environment (both proprietary and open source). RAS to Excel exports a HEC-RAS geometry file (Reach Lines and Cross Section) into an Excel file. The APP creates a new sheet “reach lines” with the nodes coordinates of the reach line, for each reach in the geometry. 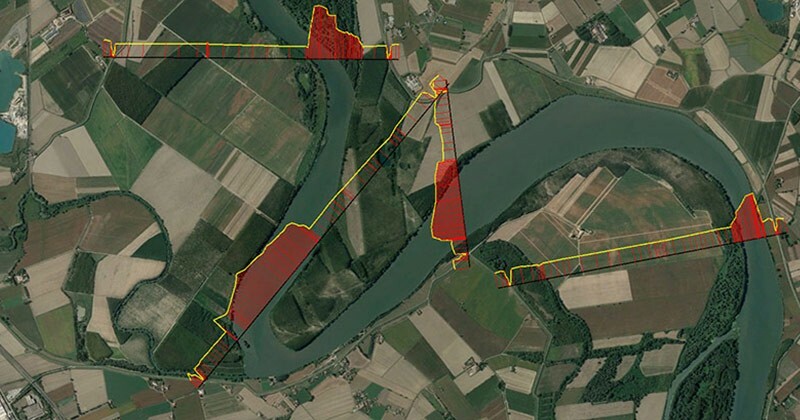 For each reach the APP creates a new sheet “River – Reach” name and for each Cross Section it writes: (a) Description (if any), (b) River Station, (c) XS GIS cut line (if any) and (d) Station/Elevation. RAS Composite n Main Channell. 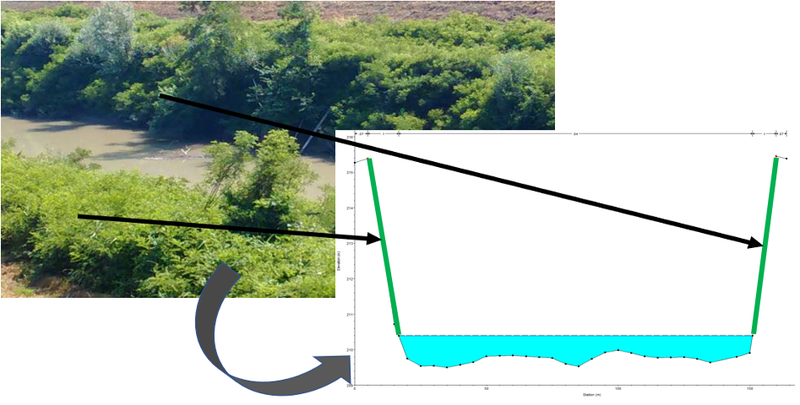 In many cases dense vegetation grows on the river banks, in these situations would be very useful to define a different roughness inside the bank stations in the HEC-RAS cross section. However this is a very boring job, expecially if there are tens or hundreds cross section in the model. This APP creates a new HEC-RAS geometry defining the roughness (user defined) for vegetated sections. 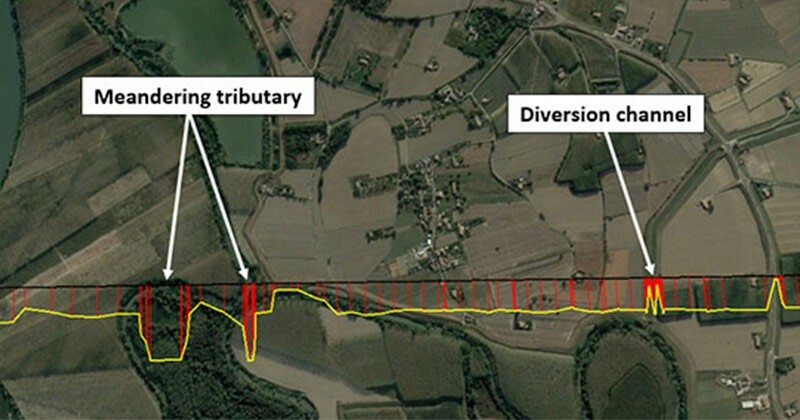 The vegetated sections are automatically defined by APP between bank stations and a level defined by HEC-RAS simulation. While developing a 1D/2D model in HEC-RAS, one of the most tedious steps is the definition of Lateral Structures to link the 1D model with the 2D model. 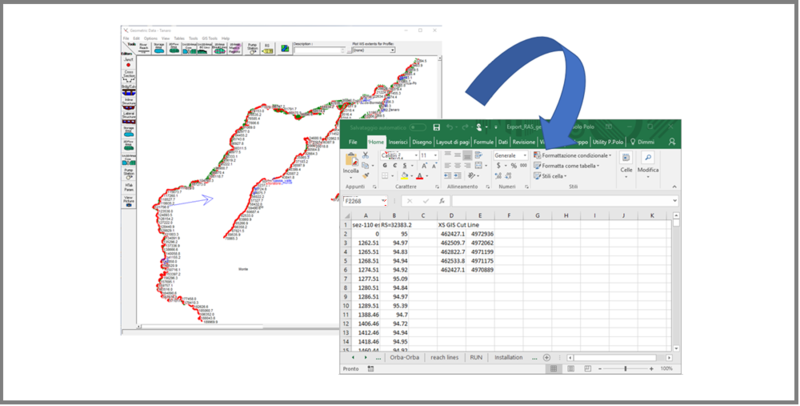 The program RAS_Lateral_Structures, developed in VBA Excel using HEC-RAS API, simplifies and speeds up lateral structures data entry.